An old joke: If smoking's so bad for you, how come it cures salmon? A curate is somebody who cares for souls. Cure and care come from the same Latin root: curare, which has nothing to do with the South American poison. 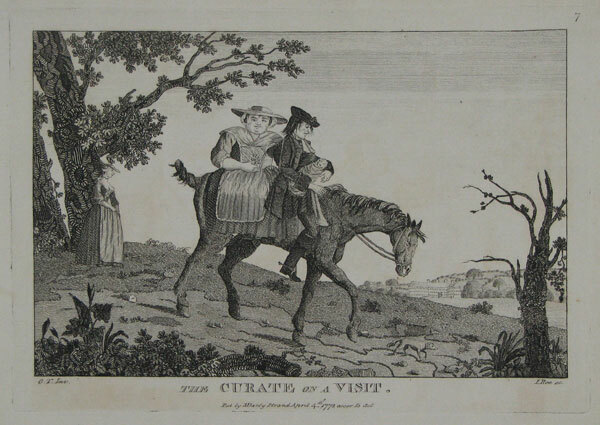 A curate is exactly the same thing, etymologicalwise, as a curator, and the sense of taking care of pork or salmon is a reasonably obvious eighteenth century extension. In these fallen days, a curate is usually someone who substitutes for a vicar, which is odd as we've already seen that vicars are vicarious substitutes. None of which explains eggs. Here is a cartoon by George Du Maurier. It was published in Punch in 1895. 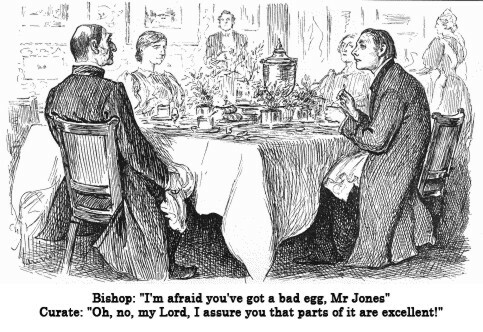 Much of its humour has been lost because it satirises two things: the ambitious sycophancy of the Church of England and boiled eggs in the days before refrigerators. The joke is, of course, that an egg cannot be part-rotten. If you reworked it with a CEO and a middle manager, and replaced the eggs with lap-dancers you might have a good modern equivalent. Either way, the cartoon was so popular that the phrase entered the language.